KANPAS is the ONLY brand who can supply high quality compass for orienteering runner in different country till now. Whether it is used in cold winter or hor summer, KANPAS compasses are always able to ensure no bubbles appear in capsual, and always keep needle best stability & fast speed. KANPAS compass are being used by elite runner in Scandinavia, Brazil, Chile, Poland, Austrila, France, UK, USA, Canada, SouthAfrica, Crekh, Spain, Italy, Japan, Newzealand, South Korea, Turkey, Israel, Slovenia, Croatia, HongKong, TaiWan, Portugal, etc. This product is designed for elite, it can work well for rough using, can be trusted 100% when running fast. We are sourcing agent for different area or different country all over the world. 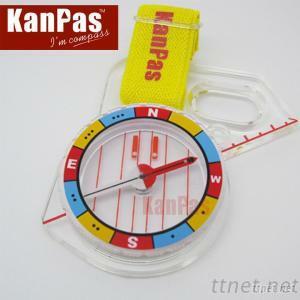 If you are working on the orienteering gear, we need you to sell KANPAS orienteering compass in your area. If you are interested in it, welcome to contact us for detail. We are a professional compass maker in China, we keep developing new technology for update the compass design. So we have ability to make good quality compasses.